The West Meade Conservancy’s mid-winter conservation easement fund-raiser was a big success, thanks to legendary neighborhood singer-songwriters Toni Wine and Rory Bourke, hosts Kim Matthews and Will Connor, and the many volunteers who brought refreshments. 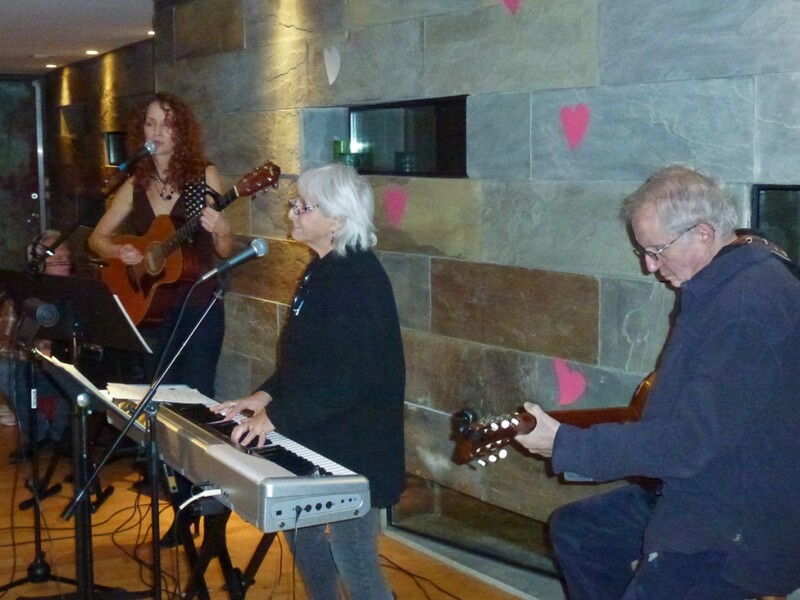 Thanks also to Antoinette Olesen and Buddy Farler for backing up and setting up for an evening of good music. The event’s purpose was to raise more money for the Conservancy’s next group of conservation easements. All the tickets were quickly sold, earning $1,800 for the fund!